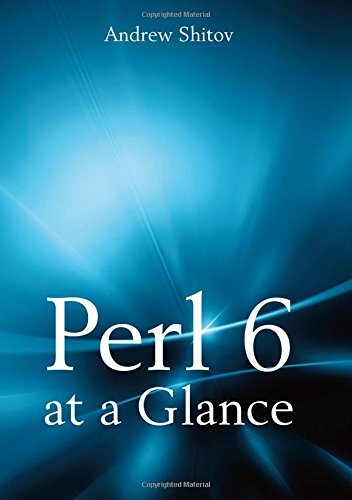 This book is about Perl 6, a programming language of the Perl family. It covers many basic and in-depth topics of the language and provides the initial knowledge you need to start working with Perl 6. The book does not require any previous experience with Perl, although some general understanding of programming is assumed. After having completed this book, you should be able to write programs to solve relatively difficult problems in Perl 6, but my main aim is to teach computer science, software programming, and problem solving rather than solely to teach the Perl 6. This document is for people who either want to learn perl or are already programming in perl and just don't have the patience to scrounge for information. This is also a handy desk reference for some of the more common perl related questions. This books describes and explains Perl (Practical Extraction and Report Language), a scripting language that is usually interpreted and is noted for its extensive use of regular expressions and a large module archive CPAN.